Tanzwut is a German medieval rock/industrial rock band originally comprised of members from the medieval band Corvus Corax. 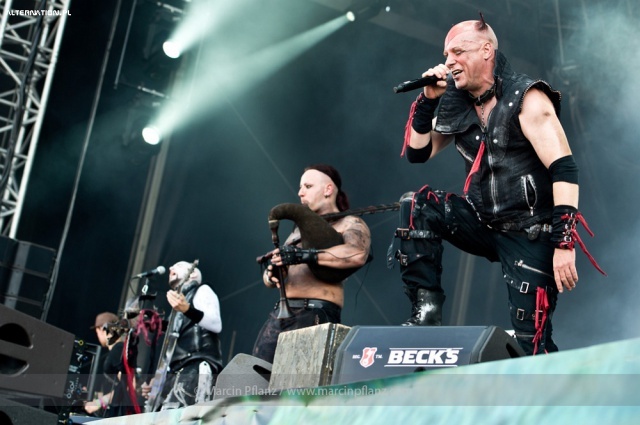 They are known for their heavy use of bagpipes, an unusual instrument for a metal band. This sound is combined with a special use of synthesizers. 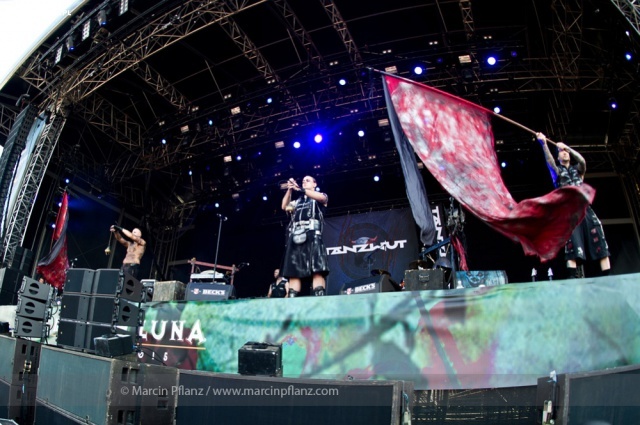 Tanzwut stands for the most versatile and most imaginative band in the medieval scene. No other band manages to link modernity and history as good as front man "Teufel" and his men. "Freitag der 13." ("Friday the 13th") – the 13 tracks make this album a highlight for any fan of medieval rock music. 17 years after the release of their debut album, Tanzwut will put out their 10th studio album "Schreib Es Mit Blut". The title "Schreib Es Mit Blut" associates with Goethe’s Faust and the pact with the devil. And Tanzwut do very good with their 14 new songs! German medieval rock at its best – catchy melodies, bagpipes, hard guitar riffs and german lyrics.